Binky Fairy is a story book (hard back) that comes with a Binky Fairy finger puppet to help children let go of pacifier sucking gently. Help your child give up the pacifier with the Binky Fairy. 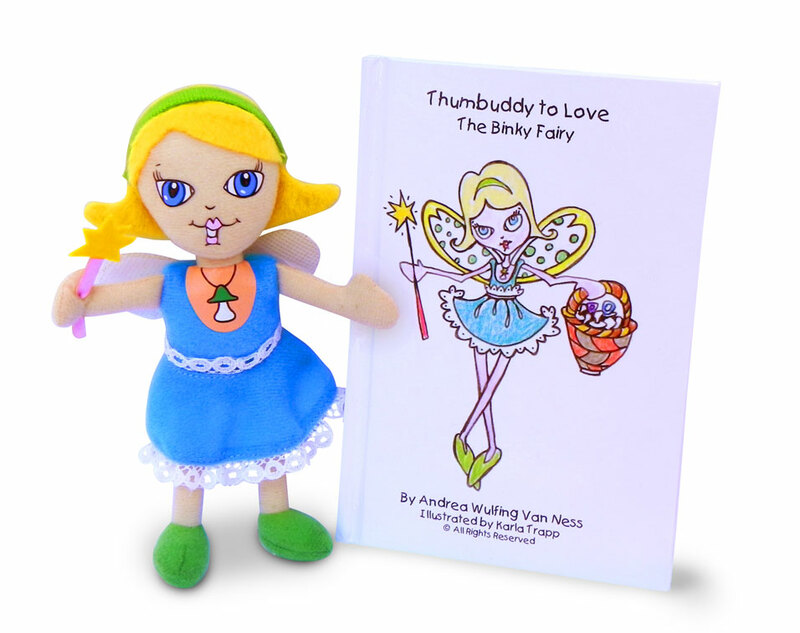 The Binky Fairy comes with a children’s illustrated story book and interactive Binky Fairy finger puppet and can help children survive the weaning period of giving up their pacifier. Similar to the Tooth Fairy, parents read the adorable story of The Binky Fairy the night before as children look forward to waking up to their Binky Fairy puppet knowing their Binkys were replaced to help other children. The Binky Fairy puppet comes with removable wings and children learn the story of how she became The Binky Fairy by helping children around the world give up their pacifier without the sadness or fuss.